Celebrate the British countryside with our 'Runners Number One' Hare cushion, intricately detailing the back profile of a wild hare. 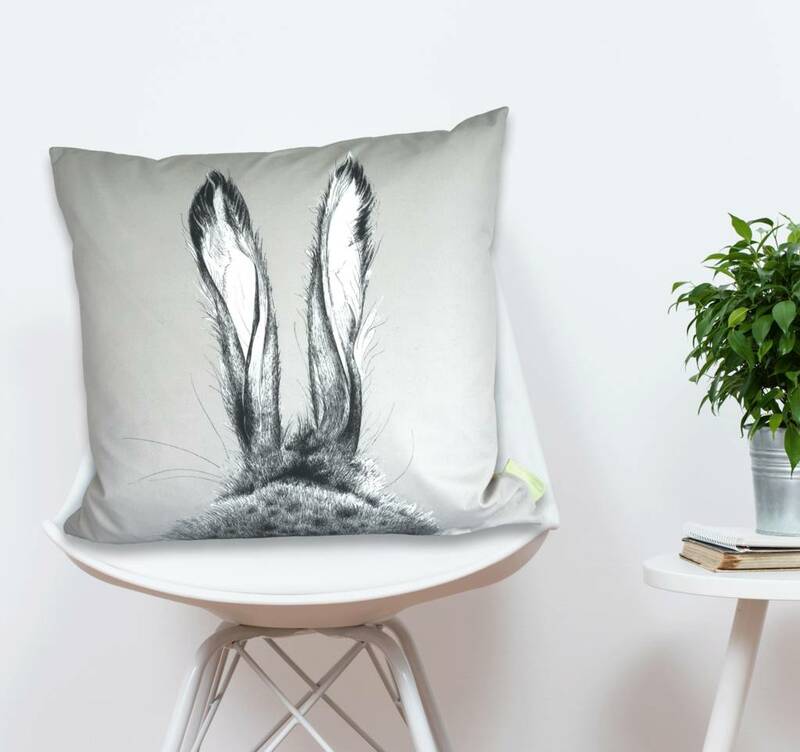 This cushion is sure to look great in your home, making a fantastic focal point for any sofa or armchair. Or as a wonderfully unique gift for someone special on any occasion. The design comes in smoke grey with an indian yellow reverse. 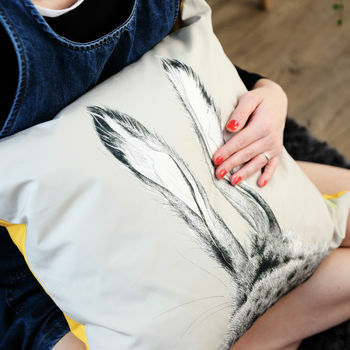 All our cushions have been illustrated and designed by Kate Daniels and lovingly hand sewn in Norfolk. 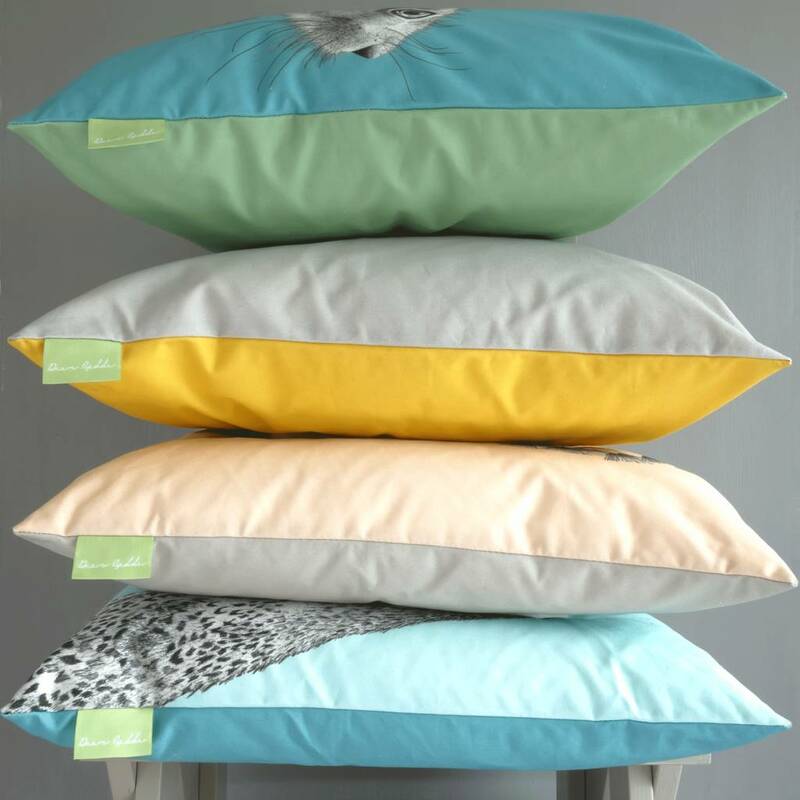 You could mix and match with some of our other designs too, avaliable in Indian yellow, Cornflower blue, Salmon pink and Laurel green. 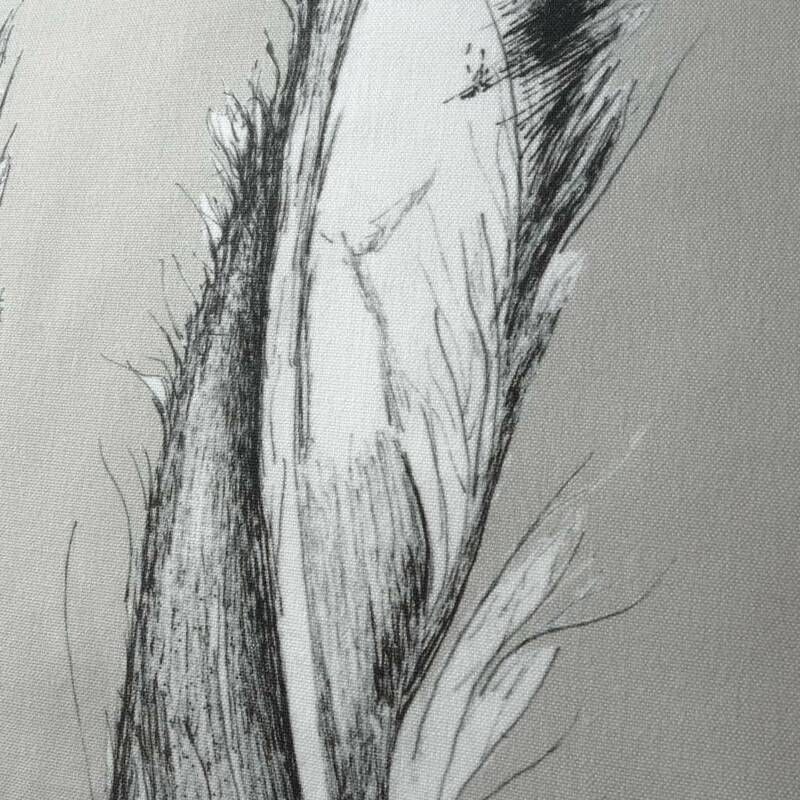 Comes complete with a luxurious duck feather inner, or opt for the cover only. Just chose from the drop down menu. 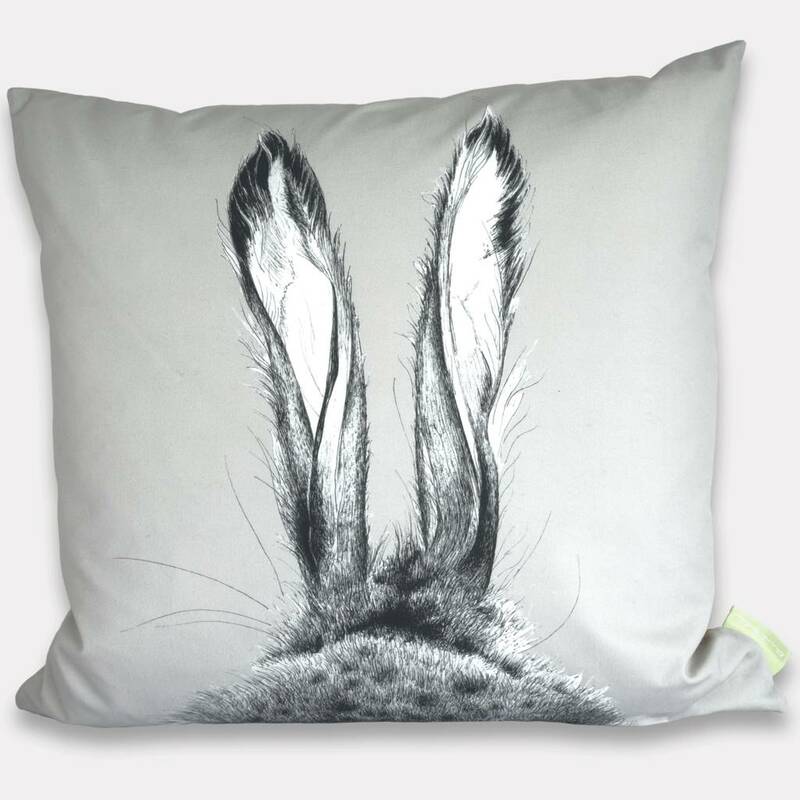 Made from a high quality 100% cotton fabric. The cover is washable, you just unfasten the zip and remove your inner cushion. Turn the cover inside out and wash at 30 degrees on a short and gentle cycle. If ironing, use a med/high steam setting. Do not tumble dry.